The Master of Professional Studies (MPS) is a master's degree that combines the focused study of traditional graduate degrees (such as the Master of Arts or Master of Science) with the specialized, industry-specific skills you can immediately put to use in the workplace. Driven by the demands of today’s professional landscape, MPS degrees emphasize the skills that today’s employers want. MPS degrees are also highly applied, incorporating hands-on research and client engagements to give you firsthand experience practicing what you learn. The past 20 years have seen tremendous growth in the number of master’s degrees awarded. According to a recent report by the Education Advisory Board (EAB), within the next seven years, master’s degrees will account for nearly a third of all postsecondary degrees. But there’s a twist: this increase won’t be coming from “traditional” master’s programs. From The Washington Post: Want more specific skills than a traditional master's degree offers? Can I earn an MPS degree online? What is the difference between the Executive Master of Professional Studies and the Master of Professional Studies? What is a hybrid degree format? Can I take courses in both online and on-campus formats? How much do MPS and EMPS degrees cost? What are the admissions requirements for MPS and EMPS degrees? Do I need to take the GMAT or the GRE in order to apply? What are the application requirements for MPS and EMPS degrees? 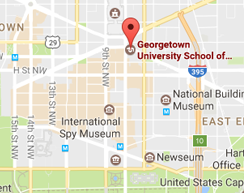 What MPS and EMPS degrees does Georgetown offer? What is the average class size for MPS programs? How long does it take to complete an MPS degree? How long does it take to complete an EMPS degree? Can I take a semester off from my studies? Could you tell me about the faculty? Yes. We currently offer many of our MPS degrees in an online format. The online format is completely virtual, and students participate in all lectures and assignments directly from their computers. We are in the process of moving most of our degrees online in order to deliver a Georgetown education to the broadest possible audience. Executive Master of Professional Studies (EMPS) degrees are generally designed for more experienced professionals (5+ years of work experience). These programs feature hybrid formats that combine online learning and on-site residencies, enabling rising leaders and executives to fit their studies into a busy workload—without interrupting their career. Master of Professional Studies (MPS) degrees are designed for professionals with varying levels of experience. MPS degrees are more self-paced and most are offered in both online and on-campus formats, or through a combination of the two. While some of Georgetown’s MPS programs offer optional travel components as part of the curricula, there are no mandatory travel requirements to earn the degree. Our goal is to offer courses in a variety of formats to meet each student’s needs and learning styles. For degrees that offer both online and on-campus classes, students can take courses in both formats, pending capacity of the course. On-campus classes take place at 640 Massachusetts Avenue, with occasional lectures and assignments offered in a virtual setting. Students should consult our advising guidelines when choosing to go from one course modality to another. Visit our Tuition page for information on current program costs. Tuition does include accommodations and some meals, but does not include required airfare or transportation to on-site locations, books, and incidentals. MPS degree programs start in Fall, Summer, and Spring semesters. EMPS degrees only have a Fall start. For admission into an MPS program, you must have a bachelor’s degree or the equivalent. Typically, SCS requires a minimum 3.00 undergraduate GPA for full admission; however, we will holistically evaluate the applicant’s academic history, professional qualifications, letters of recommendation, and other application materials before admitting any student. For additional information and detailed application requirements, please see our Application Checklist. No. 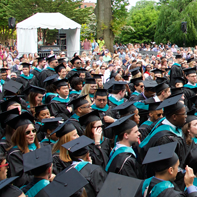 Georgetown SCS does not require the GMAT or GRE for entry into our master’s programs. For additional information and detailed application requirements, please see our Application Checklist. Most of our EMPS degrees use the cohort education model, meaning that students enter as a group and proceed through classes and the degree program together. Cohort models allow students to deepen their professional network and build strong relationships with their colleagues. Most classes are limited to 20–30 seats to ensure that students receive a high degree of personal attention. Part-time students, taking two classes per semester (including summer terms), can finish their degree in about two years. Full-time students taking three classes each semester can finish their degree in about four semesters (16 calendar months). Students have up to five years to complete an MPS degree program. 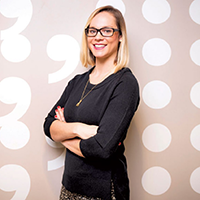 The EMPS in Global Strategic Communications and Emergency & Disaster Management are both full-time and take one calendar year to complete, running from August–August. Should you need time to accommodate issues that come up in your personal or professional life, you can take a semester off from your studies. For our MPS degrees, students must request a formal Leave of Absence (LOA) for any Fall or Spring semester that they will not be able to attend; the LOA is not required for the Summer semester. For our EMPS degrees, students must request a formal Leave of Absence (LOA) for any course that they are unable to attend. Due to the cohort and lock-step format of our EMPS degrees, contiguous course progression is integral to your success in the program. Each course serves as a prerequisite for the next in the EMPS programs, so students taking a LOA in these programs are required to wait a full year to rejoin the program and continue when that course is next offered. More information on the LOA policy can be found here. Our programs are led by Faculty Directors with a blend of academic and professional experience who help develop the curricula and oversee expert faculty who are accomplished professionals from their respective industries. They are selected based on their expertise and level of experience.